post-title Everything You Need to Know for February First Saturday! 2018 / January / 25 / Everything You Need to Know for February First Saturday! 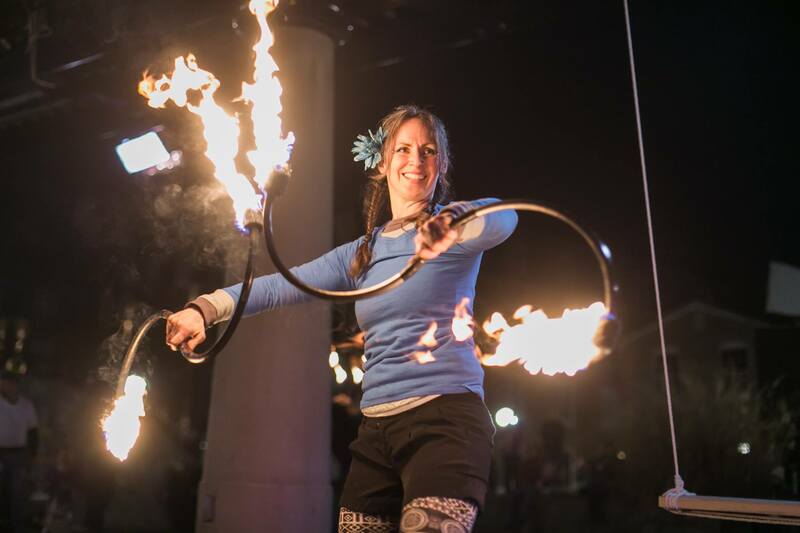 It’s that time of year again — February First Saturday, “Fire in Ice” on February 3rd! Bring the whole family to warm yourselves by the flames of the fire pits and behold the many dazzling ice sculptures that line Carroll Creek and the streets of Downtown Frederick. 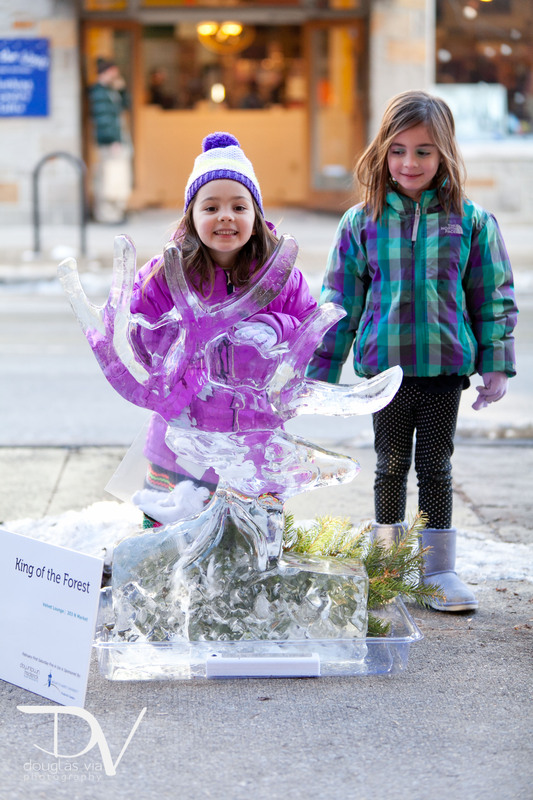 This year, there will be over 100 ice sculptures — which is the most ice sculptures in the history of February First Saturday! 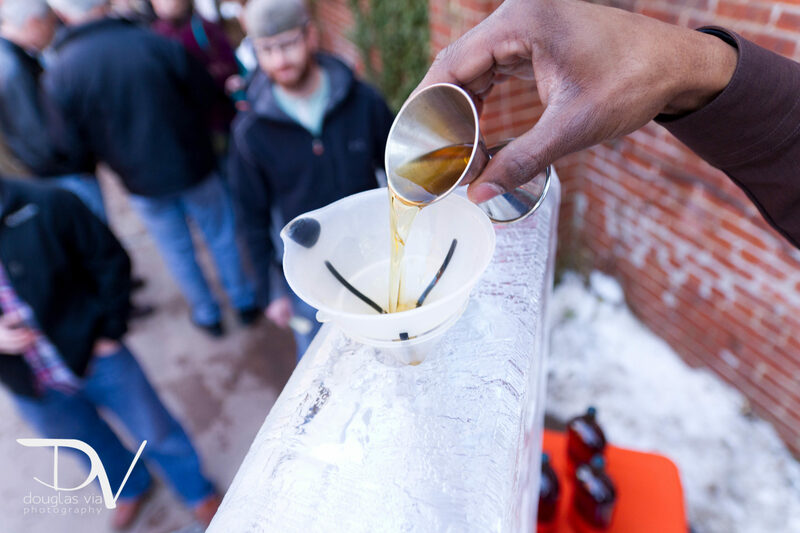 Kick off the day at the Ice Bar on the Creek located at the Carroll Creek Amphitheater — open from 2-5PM! All ages are welcome, though you must be 21 and over to partake in alcoholic beverage. A $5 entry fee will cover your first drink, and then $5 for a frosty glass of wine or beer from Brewer’s Alley or Flying Dog after that. But the Ice Bar on the Creek is not your only opportunity to kick one back, there will be a variety of fun ice luges spotted at La Paz, the Wine Kitchen on the Creek, and Volt! 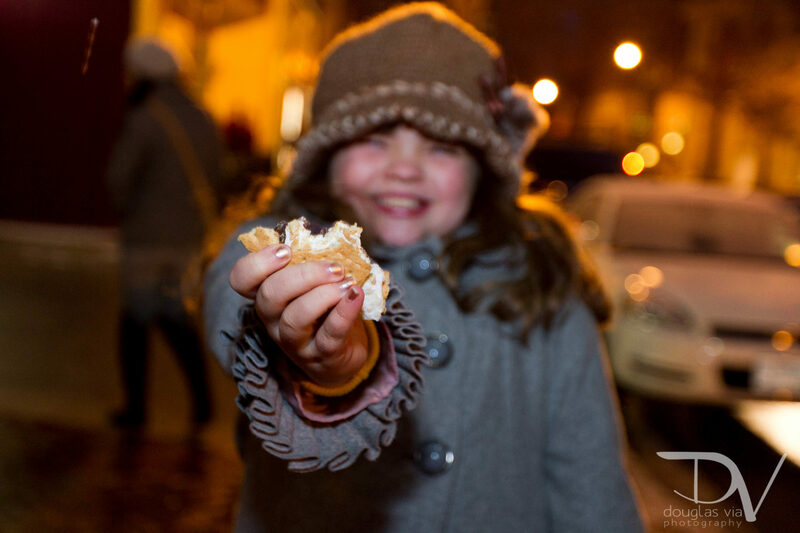 For those of us who would like to taste something a little sweeter, the February First Saturday “Fire in Ice” traditional dessert of s’mores will be served! You can find these treats at 50 Carroll Creek Way, 26 S Market St, 203 N Market St, 15 E Patrick St and 224 E Patrick St starting at 4PM, while supplies last. And as we gear up for the Winter Olympics this year, try your hand at some of our winter games! Victors can claim their glory atop the Ice Throne located at La Paz, 51 S Market St, from 4 – 9PM. As the sun starts to set, be sure to visit one of the Ice Thrones at Everedy Square & Shab Row or La Paz, don’t miss the Live Ice Carving Demonstration from 5-8PM outside of Brewer’s Alley (124 N Market St) and, of course, the fantastic Fire Performances by Pyrophoric at the Carroll Creek Amphitheater from 7-8PM! As you head downtown to join us for all of these incredible festivities, please note that all day parking is just $5 at City garages, plus there will be free trolley rides from 3-9PM to make getting around a cinch! If you’re parking outside of downtown, Plamondon Hospitality Partners will offer a free shuttle from their TownePlace Suites by Marriott (5050 Westview Dr., Frederick, MD) to Downtown Frederick from 2-4PM and again from 6-8PM. Shuttles are available to hotel guests, as well as non-guests and are offered on a first-come basis. All shuttles will drop off and pick up passengers at the Patrick Street downtown trolley stop, located at 220 E Patrick St. Shuttles provided by On The Town Limousines. Thank you to our sponsors for making February First Saturday possible.